Womble EasySub allows you to create subtitle files for DVDs using a visual interface that gives you precise control over the timing of subtitles. Womble EasySub allows you to create subtitles from scratch, or by importing them from SRT files. 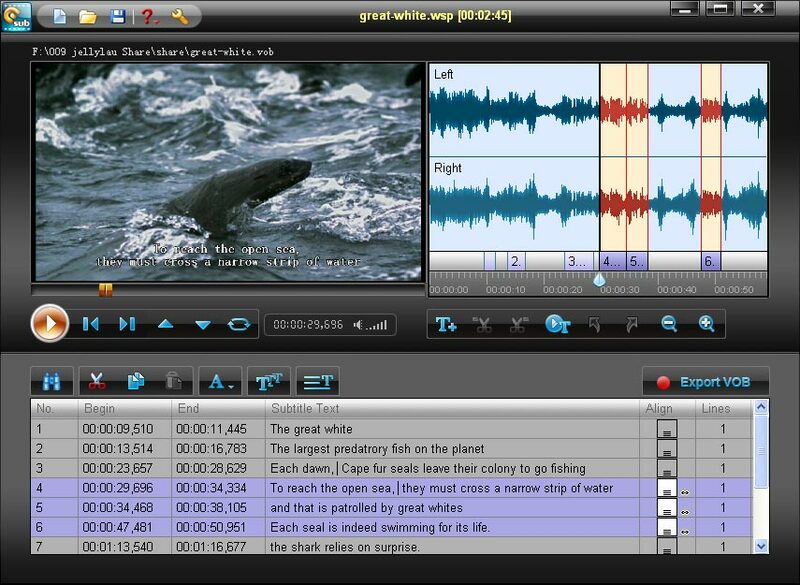 You can even import directly from a DVD, allowing DVD subtitles to be edited. You can edit the subtitle with the subtitles overlayed on a video preview, and with sound waveforms to get the timing exactly right. Multiple subtitle streams are supported.